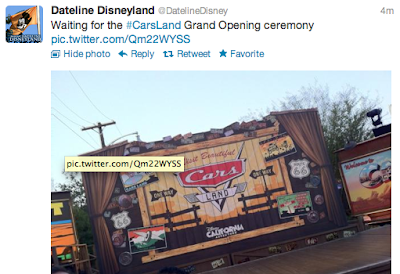 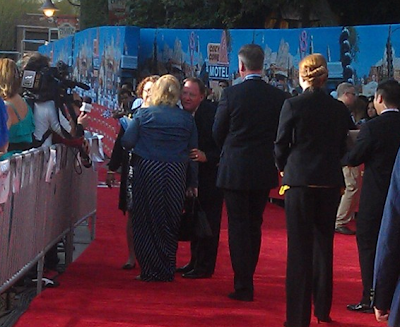 Today is the Opening Ceremony/Red Carpet for Disney's California Adventure Cars Land. 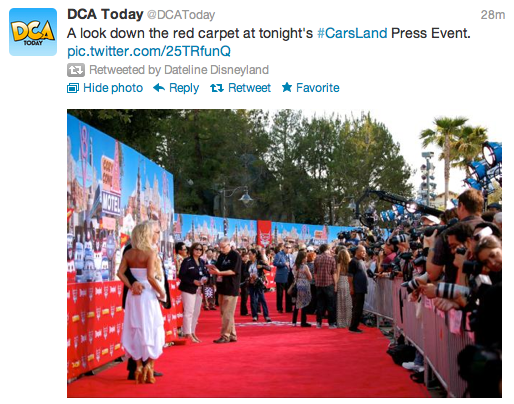 Since we live in the actual "Motor City" away from Disney/Pixar's "Motor City" we are loving watching the tweets come in from fellow bloggers who are lucky enough to be reporting from this great event. 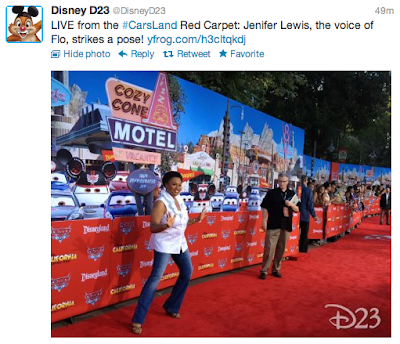 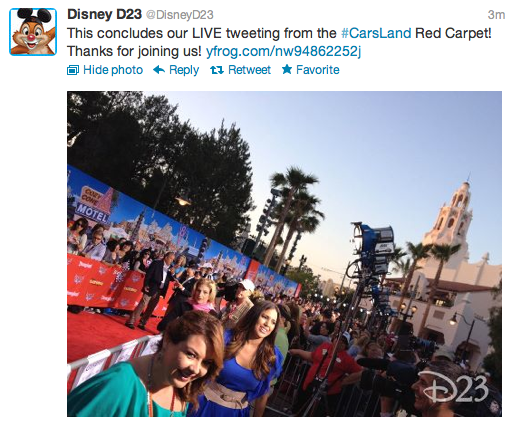 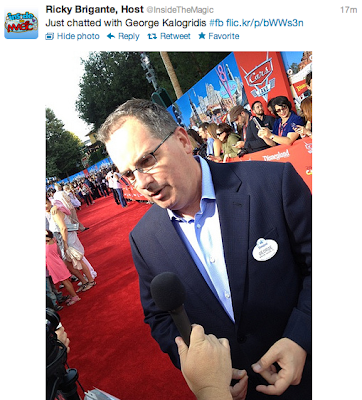 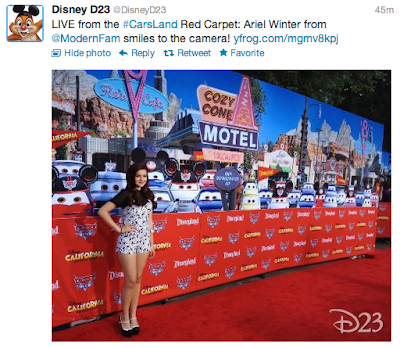 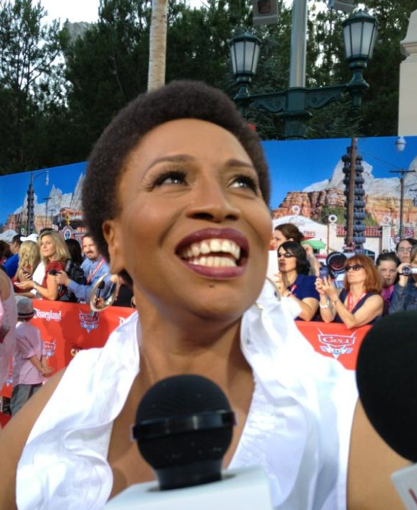 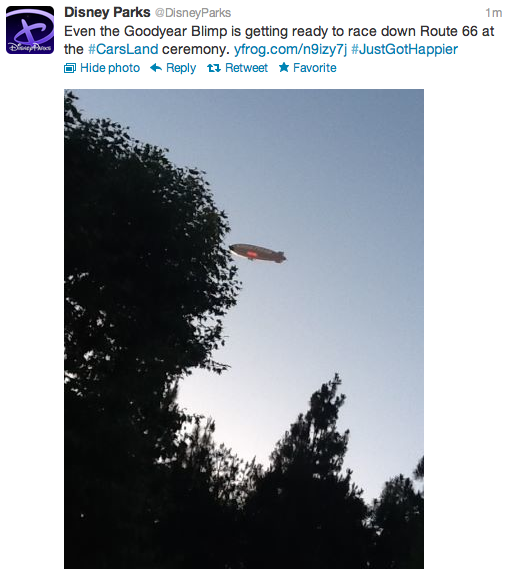 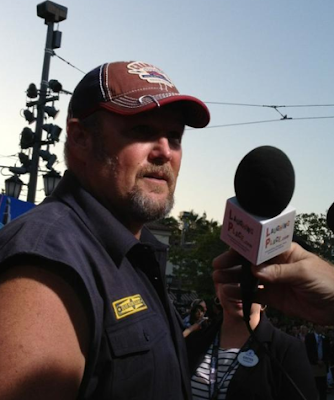 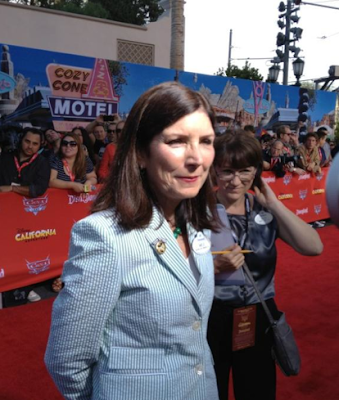 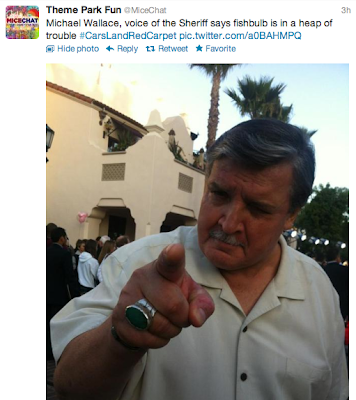 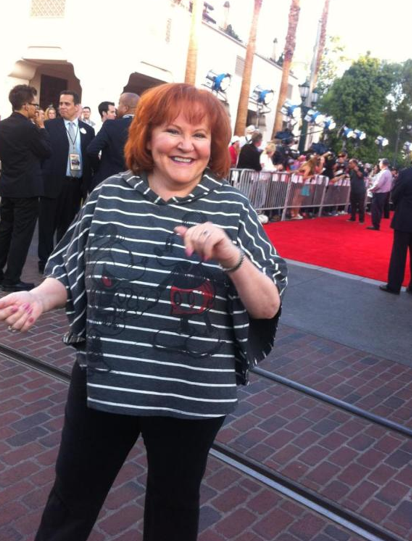 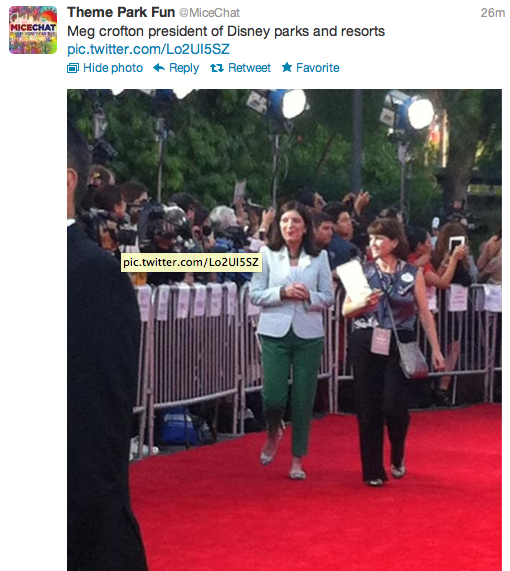 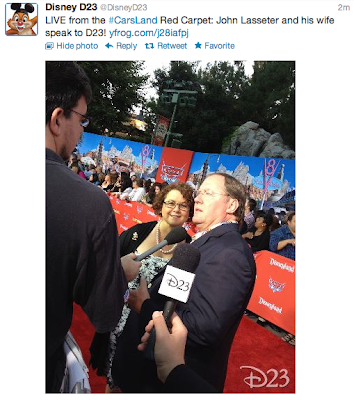 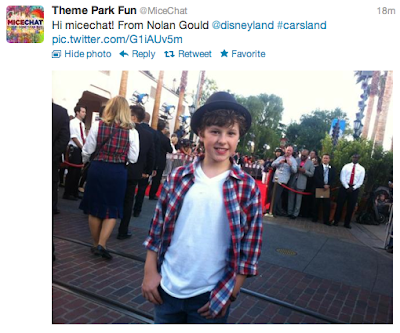 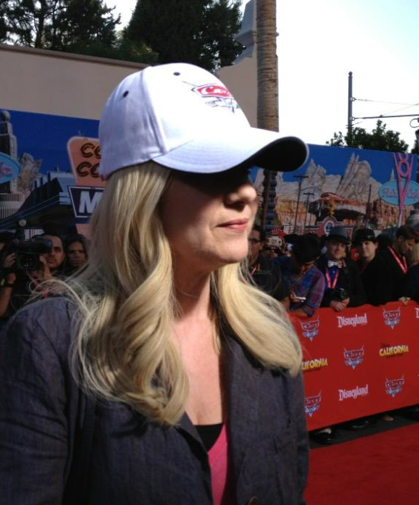 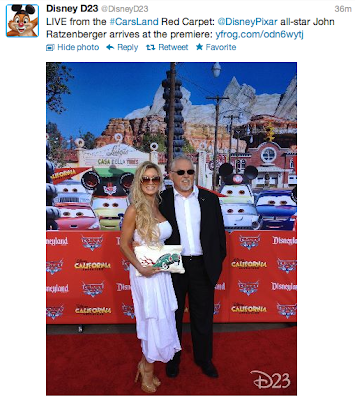 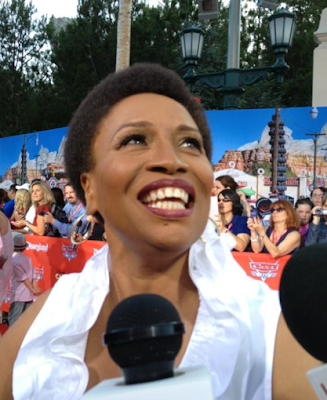 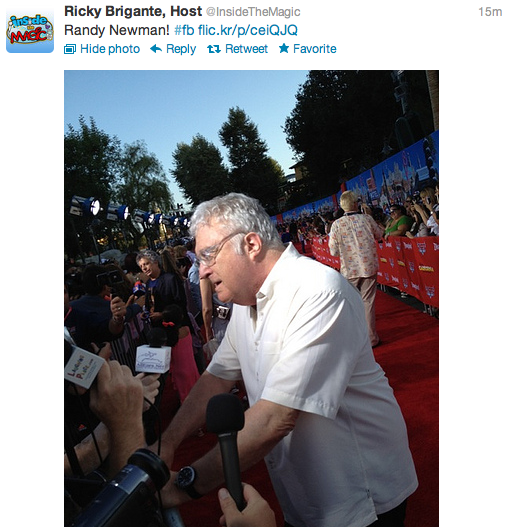 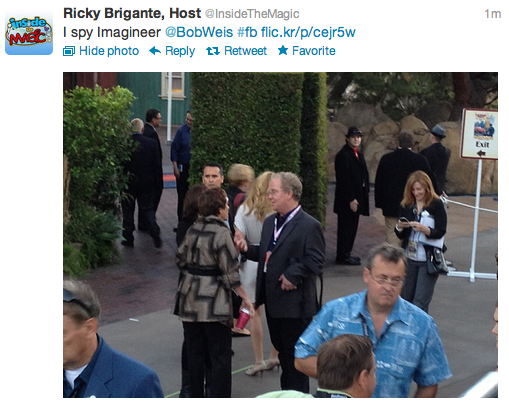 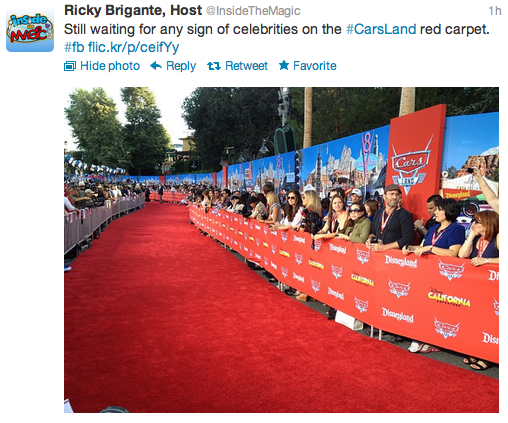 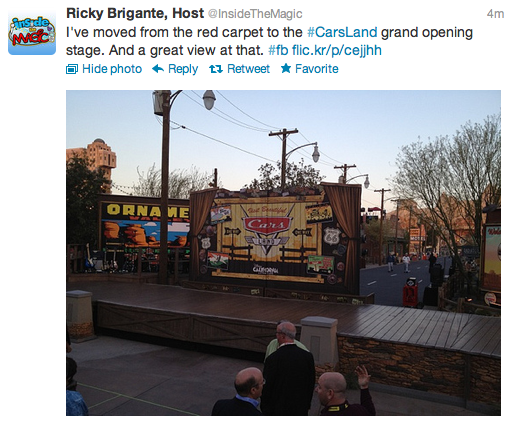 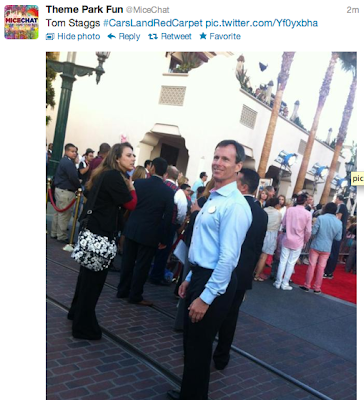 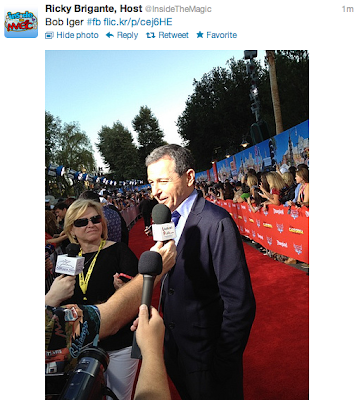 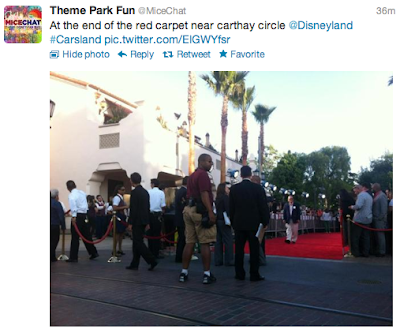 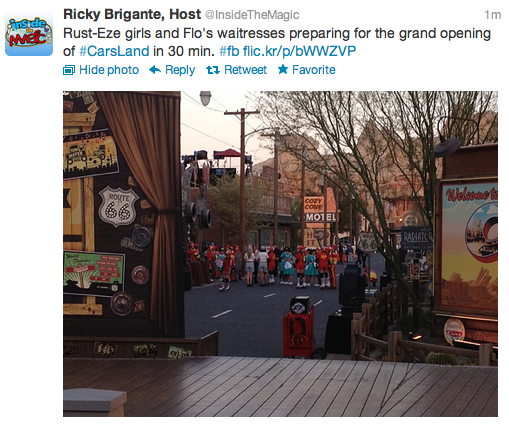 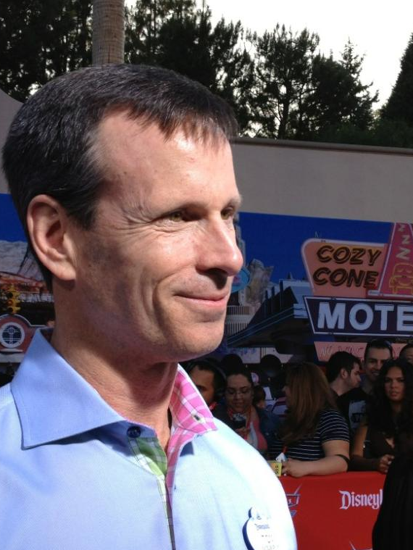 Here's a compilation of the best tweets with photos from the Cars Land red carpet. 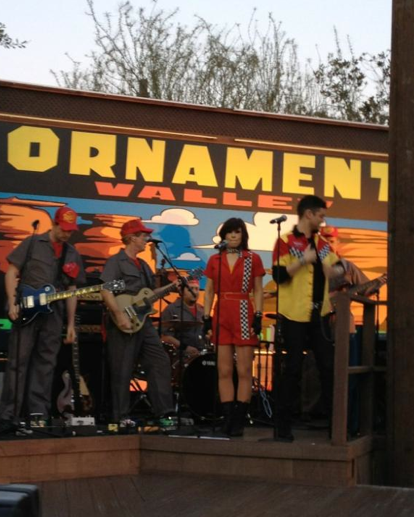 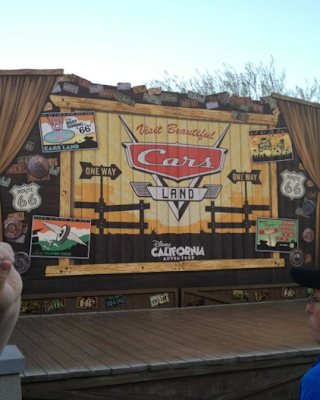 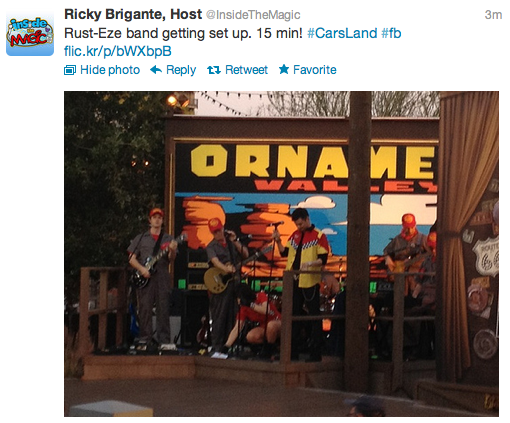 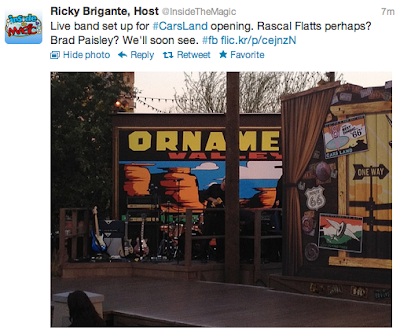 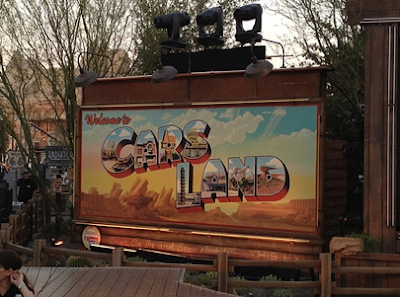 Don't miss our post on the Cars Land Opening Ceremony.